In my not so humble opinion, brows are everything! Your makeup can be flawless, your liner on fleek, and with perfectly plump glossed lips, but if your brows aren’t filled in, or groomed, or all together looking amazing, it destroys any makeup look. Having said that I know the average woman doesn’t have 30 minutes to spend filling in and concealing her brows, hell the average woman is lucky to have 30 minutes to do her whole face, so I thought I would share my “Normal” brows look. Also when I say “Normal” I mean for people who aren’t instagram goddesses, or youtube guru’s, just regular people like me, who want to look halfway presentable when they go out. The products I use are the Benefit Precisely My Brows, and the Anastasia Beverly Hills Clear Gel. 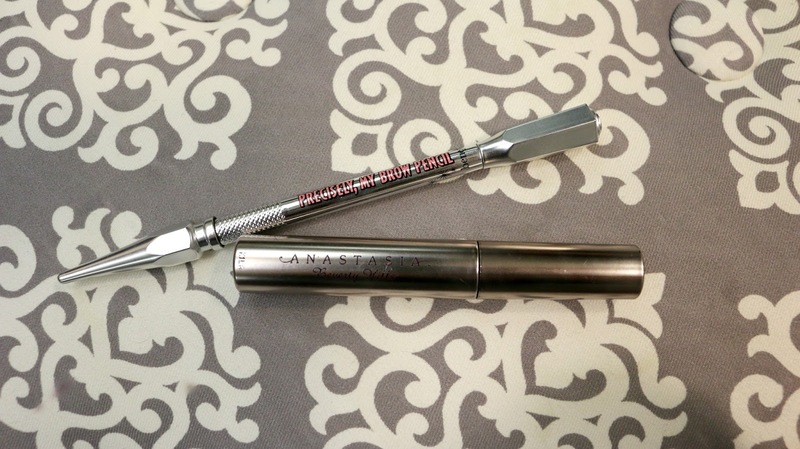 If you are one of those amazingly lucky people, or someone who didn’t obliterate your brows in the 90’s, and you have really full lovely brows, you can use the Anastasia Brow Gel on it’s own and get a really lovely shaped brow. If however you’re like me, and have almost no brows on your face continue reading lol. 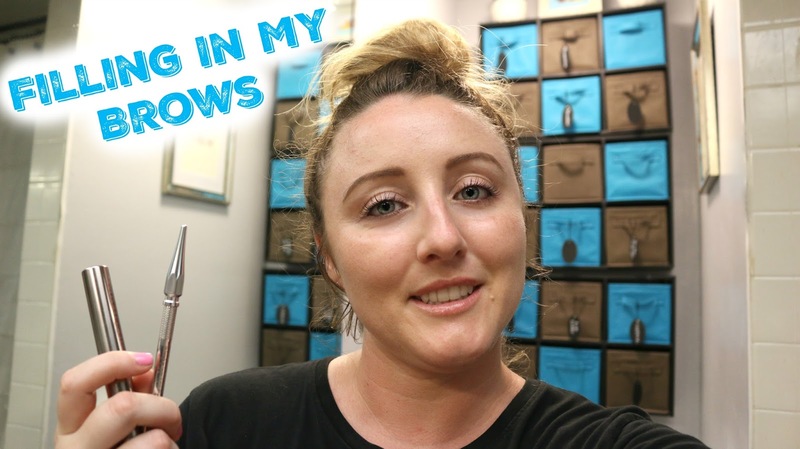 The first thing you want to do is create your depth of field for applying your brows. That sounds super fancy and serious, it isn’t lol, you need a mirror (like your average bathroom mirror) thats a few feet away from you, and then a small mirror you can hold a few inches from your face. As you fill in your brows using your small handheld mirror, stop every so often and glance in your bigger mirror, this will allow you to see any spots that need to be a little darker, as well as spots you may have made too dark. Use the spoolie on the end of the brow pencil and groom your brows in an upwards direction, just after your arch brush them down to create and even thin tail. Then starting from the inner corner of your brow softly create a line going from the inner corner to the arch of your brow, then go down creating your tail. Once you have this line, it will act as your guide for filling in the rest of your brow. Once you’re satisfied with your brows use the Brow Gel with a very soft touch and brush/dab onto your brow hairs. This allows you to create that well groomed brow and will stay in place all day. This is the video for this post, it may be easier to watch rather than my very poor written explanation lol. It may take a few tries but soon you’ll have your brow routine down to 5 minutes or less!